Peaches and cream! 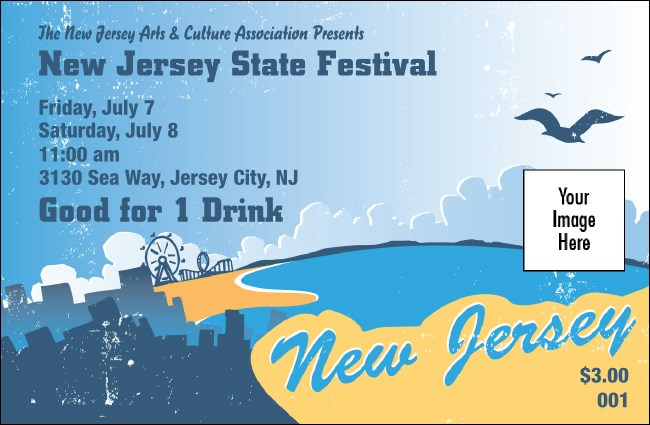 Water ice and saltwater taffy down by the shore or cosmopolitans in the city, when it's time to pause for a refreshment, the New Jersey Drink Ticket helps you quench your thirst. It's the one that you've waited for: part of the fun templates in the matching New Jersey Event Kit for any celebration in the Garden State. Walk in a dream with state Event Kits from TicketPrinting.com.